Stephen Cox represents business clients in the litigation and arbitration of complex commercial matters, focusing on construction, employment and corporate governance disputes. 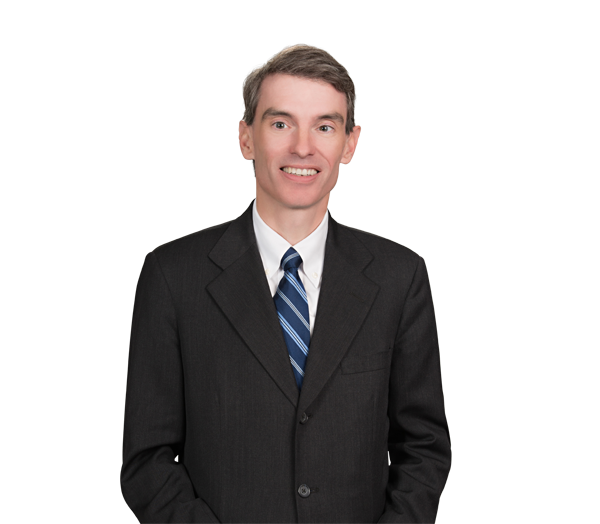 Admitted to practice in North and South Carolina, he has represented parties in numerous class actions and derivative actions and has significant experience in both states' business courts. Stephen has appeared before the U.S. Court of Appeals for the 4th Circuit and the U.S. Supreme Court. He has handled numerous arbitrations before JAMS, the American Arbitration Association and the Financial Industry Regulatory Authority, and he regularly serves as an arbitrator and mediator himself. Stephen represented a national chemical supplier in a case of first impression in North Carolina involving the application of the UCC’s “good faith” pricing standard to a multimillion-dollar chemical requirements contract. He was also on a Robinson Bradshaw team engaged to defend an international shipping firm in an action where the trial court had already certified a class seeking over $100 million in damages and denied summary judgment. Stephen and the firm’s lawyers successfully petitioned for decertification of the class—a decision that led to the end of the litigation. Stephen serves on Robinson Bradshaw's board of directors. Represented a national general contractor in a series of construction defect lawsuits seeking tens of millions of dollars in damages. Responsible for defending claims against the general contractor and prosecuting associated indemnity and related claims against subcontractors and suppliers. Achieved favorable settlements in all cases. Represented Wachovia Corp. and associated individuals in defending shareholder actions arising from Wachovia's merger with Wells Fargo. The trial courts' dismissals of the shareholders' complaints were upheld by the South Carolina Court of Appeals and the U.S. Court of Appeals for the 4th Circuit. Rivers v. Wachovia Corp., 665 F.3d 610 (4th Cir. 2011); Rice-Marko v. Wachovia Corp., 398 S.C. 301 (Ct. App. 2012). Represented a national bank in the defense of lawsuits challenging a range of financial products. The representation included an appearance before the U.S. Supreme Court, which upheld the bank's position regarding the citizenship of national banks for jurisdictional purposes. Wachovia Bank, N.A. v. Schmidt, 546 U.S. 303 (2006). Represented a real estate developer in a case before the North Carolina Business Court challenging the city of Charlotte's system of conditional use zoning. The Business Court’s decision adverse to the firm’s client was reversed by the North Carolina Court of Appeals. Massey v. City of Charlotte, 145 N.C. App. 345 (2001). Represented a national retail company in a shareholder dissent and appraisal action. The company's share valuation method was adopted by the trial court and upheld by the South Carolina Court of Appeals. Belk of Spartanburg, S.C., Inc. v. Thompson, 337 S.C. 109 (Ct. App. 1999). Wrote an amicus curiae brief for the South Carolina Chamber of Commerce and South Carolina Manufacturers Alliance in a significant employment case before the South Carolina Supreme Court. The court upheld the employer's position. Prescott v. Farmers Telephone Cooperative, Inc., 335 S.C. 330 (1999). Obtained decertification of a class of independent contractors pursuing $100 million in compensation claims against a national trucking and logistics company. Represented a national broker-dealer in a number of arbitration proceedings filed by customers before the Financial Industry Regulatory Authority. Obtained a preliminary injunction on behalf of a national textile company against five departing employees who lacked a noncompetition or nonsolicitation agreement. Obtained a preliminary injunction on behalf of a regional distributor of construction equipment against a departing member-manager. Obtained summary judgment for employers in a number of employment discrimination cases filed in state and federal court. Represented an international manufacturer of lighting equipment in product liability cases filed throughout North America.